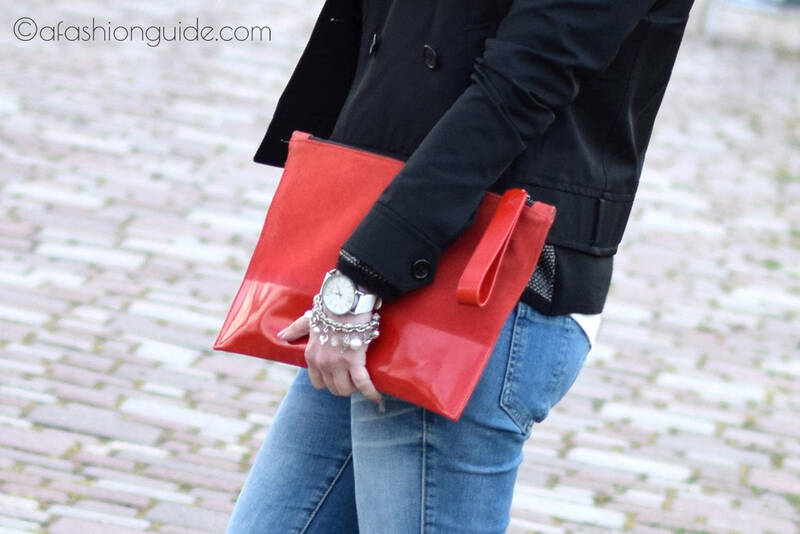 An envelope clutch became an adorable night time accessory a few seasons ago. However, carrying an envelope handbag during the day seemed to be an impractical idea, as highlighted by a number of magazines and blogs. Let me overwrite this opinion. I believe that investing in a daytime envelope bag is still a considerable option for looking different and an easy way for style change. I admit my first experience with wearing this fab piece during the daytime was confusing. I felt fresh and pulled together. I enjoyed switching from shopper bag to an envelope clutch. However, something was strange, like brushing your teeth with your left hand in case you are right handed. In some cases I felt like I needed both of my hands and the wrist band is pulling my hand down. It took just a couple of hours to adjust to the situation, than this feeling was totally gone. Oversized bags allow us to carry a gigantic and heavy bag with many unnecessary things. The smaller your bag, the more consciously you will select what to take with you. If you buy no further bag this season, you need to get an envelope clutch. There is no doubt, they look very updated and minimal. With some modern graphics or prints an envelope bag will delicately spice up your style. Get a piece with popping colors, which completes and updates a number of otherwise boring pieces in your closet. Note that clutches that are rectangular with sharp corners are the most eye catching versions. The right bag updates even a messy wardrobe and with such a bag you cannot go wrong. Smaller bag, less fuss makes you feel carefree and no pain in the elbow or shoulder. A further stylish reasons to carry an envelope clutch is that hooking any body part will make you feel uncomfortable in a cheerful moment. Any bag across the shoulders might result in pain. For this reason I usually carry my satchels in one hand or hook them into the crook of my arm. A daytime clutch can be carried in similar ways if there is a wrist band or an extra removable wider band. An envelope bag is similar to a nicely tailored classic blazer, it will add a value to your outfit. Even with a leather brown jacket or with ripped jeans, it looks effortlessly chic. Apart of that, it is a gorgeous and elegant accessory for dressing up when you wear the same outfit for the whole day starting with a morning meeting and finishing it with a party or enjoying dinner out. 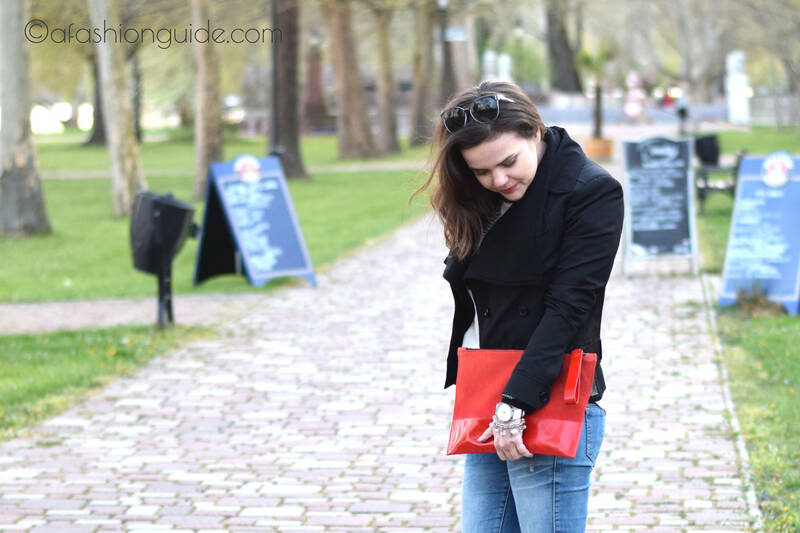 How to wear fur in spring…. what?